Tundra is stock as of now. No suspension upgrades added yet. It has the 5.7V8 and 4.3 geared tow package. And yes it is a 1500. Handles the weight easily in the power department. Suspension dropped 3" in rear when weighted with the wet/loaded camper. Nowhere near the bumps. It does sit a bit low in the rear and sway seems minimal on road. Drove it from LA to Home in the E. Sierras 300 miles and 7000' elevation gain- averaged 13mpg at 75mph, hit plenty of wind- noticeable but minimal sway. I've had the camper a week now and am aver. 12.5mpg city at 8500' elev. 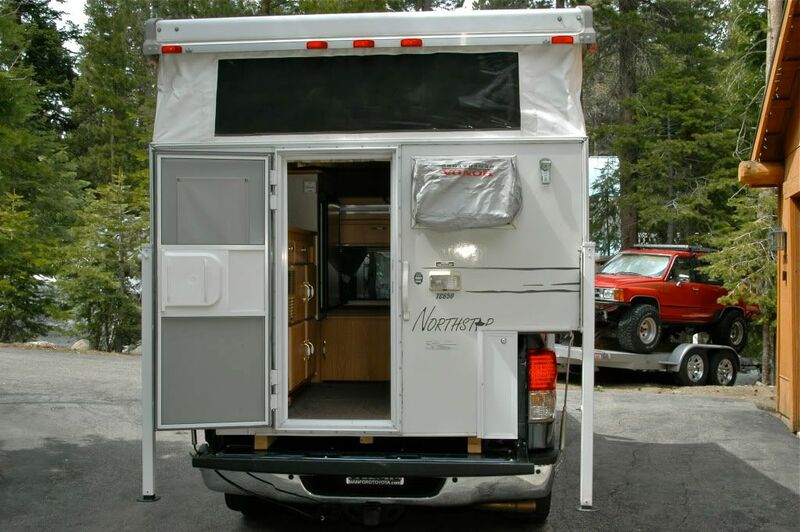 Northstar- its an '05 TC650 built for a Dakota (which means it is 3" narrower at the wheelwells but rest of it is the same as TC650standard). Picked it up in RanchoCucamonga, CA off a guy that used it only onroad for NHRA tours. Think i got a great deal at $5K. It seems to be pristine and everything works, though the water heater anode was completely dissolved- except for that, it barely even needed a cleaning. But i buffed it anyway. Camper is tagged at 1660lbs. 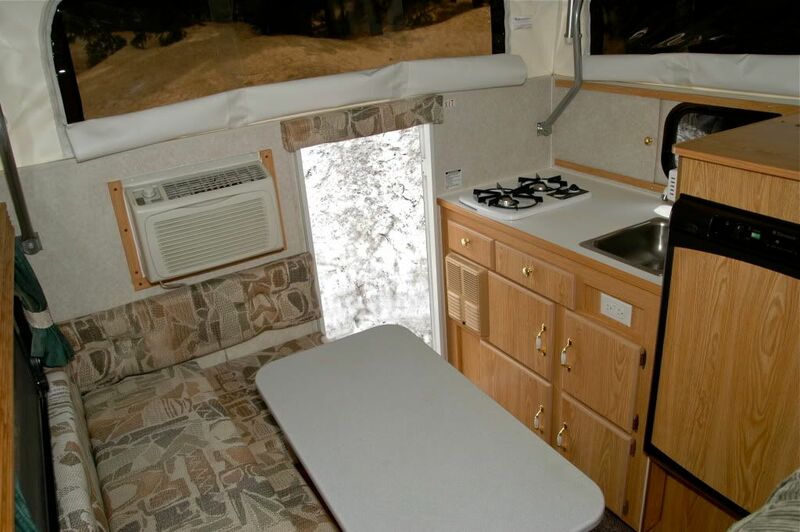 Queen front/back bed, 3.8cu/ft fridge, 6gal.h2o heater, outside shower, deep cycle bat., grey tank, 30gal. fresh, portapotti, inverter, what else you need? 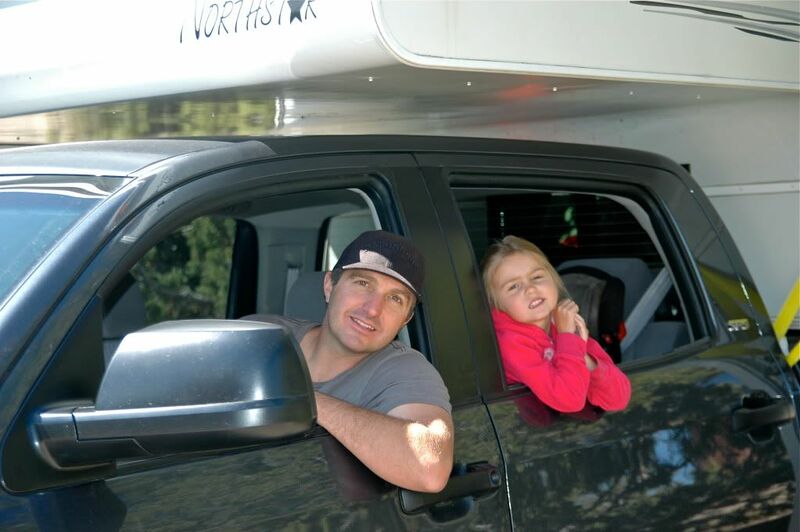 Us- My Wife, 5y.o., and I love the outdoors and spend alot of time there. We have tent camped tons and travel quite a bit. We live in an area of US that begs to be explored. Backpacking, mountaineering, carcamping? Whatever. We love Death/Saline Valley and escape there often. Baja WAS big on our list- time will tell. 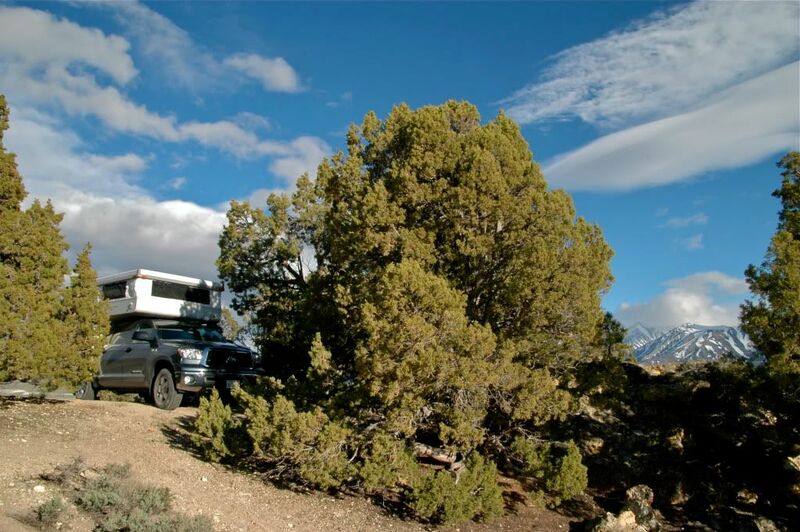 We do quite a bit of offroading and love to camp WAY off the travelled path. I hope this camper can handle us. This is our first take with a camper so I'm sure it will be a learning experience. Quite honestly- I had DECIDED on a Hallmark Milner but this Northstar was priced right and clean- i couldnt pass it up. 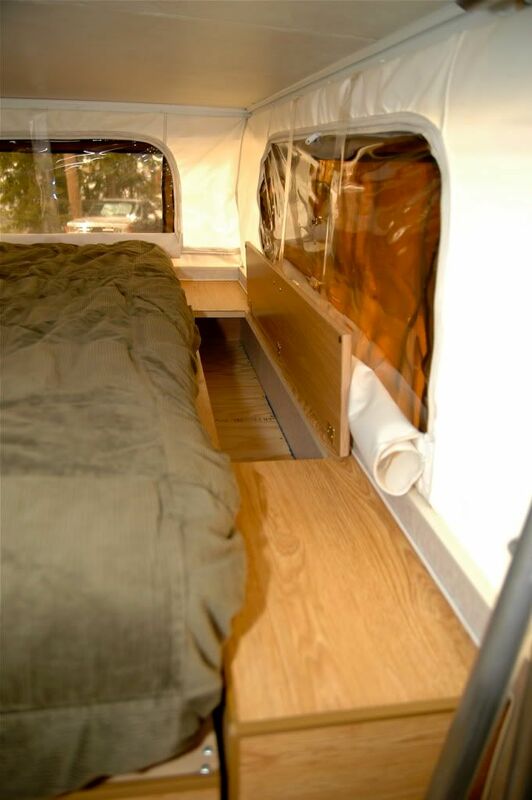 I spaced the bottom of the camper up 3" to compensate for the taller bedsides now common in newer trucks. I got a happijack tiedown setup from the guy too, but it is for a Chevy 1500. Front tie mounts dont fit. I used the back tiedowns and just strapped the front between the bed and cab around the frame. It has shifted less than an inch back like this, even offroad. Temporary till I weld in my rocksliders and mount a tab for front ties. Electrically- I just have it plugged into my 7pin trailer plug for now. It is resting in the bed and hangs onto the tailgate with room to spare. I may remove the tailgate later to allow me to tow my trailer. This Thread- I hope will be a benefit to the Forum. I will update it as i find out more about the strengths/weaknesses of the TC650 and my truck. I would love to get input and opinions from others. I am not sensitive and only hope it could be constructive. I want my system to be durable, safe, and enjoyable. Some will criticize the weight on the Tundra, sorry. I stressed long and hard then, after reading everything i could and seeing rigs everywhere WAY overloaded, i came to the conclusion that a mildly overloaded truck is acceptable. The camper is correctly sized for the bed. I will be adding an upgraded suspension first, then airbags if required to compensate for the load in back. Frame plating is a possibility, but not likely required as all HD trucks have C-channel frames from the cab back nowadays. 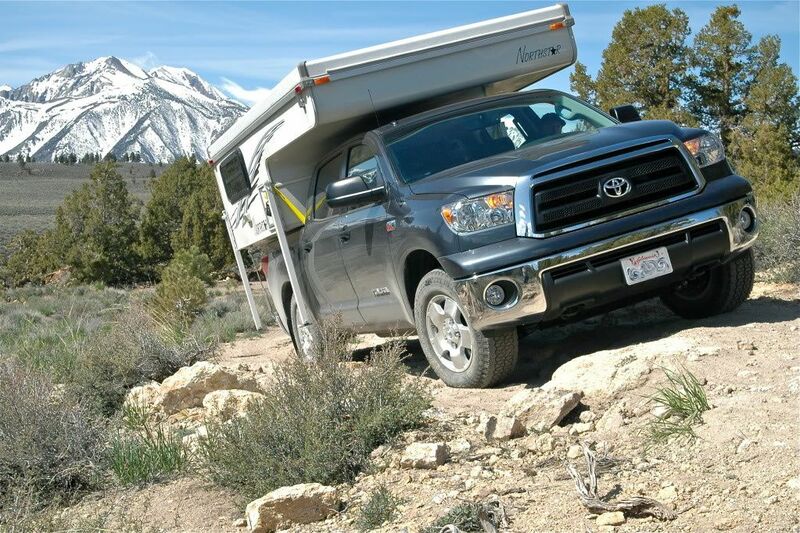 Any suggestions on Tundra strengthening are welcomed. 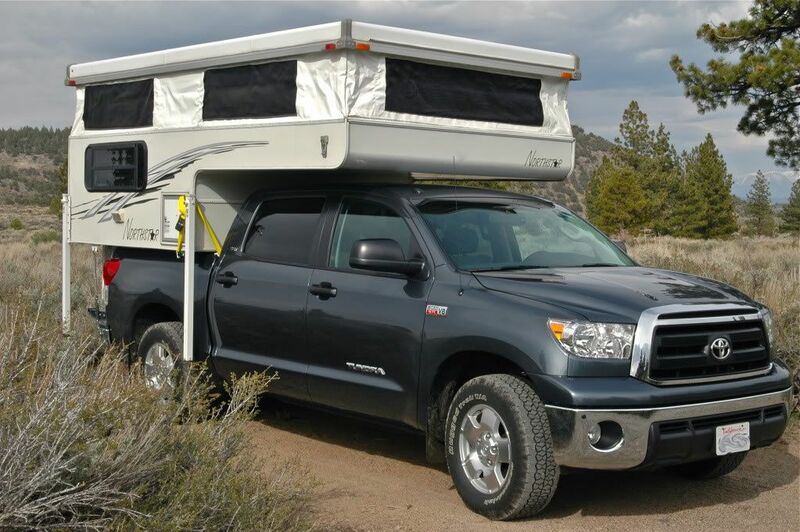 We shall see, that is what this thread is for, and will hopefully help other people to choose a camper and truck combo based on others experiences +/-. Heres a quick shakedown we took just outside of Mammoth on the 17th. Hotsprings were great! Nice, That thing looks brand new! How does the family like it? My wife & daughter really dig ours. I will have to give you ring when I get in town. Its seriously in excellent shape, i was amazed when i went to look at it. I did more damage to one of the cabinet doors taking a sticker off than the first five years of use gave it. Give me a ring when you know your dates and we'll get out camping with you if we are in town. We love this thing- it has all the amenities and is big enough to hang in, but small enough to WANT to be outside enjoying. Just hope it can survive going all the places we like to be. Thanks regcabguy, your rig was one i was scoping in my TC research. Risers are boxed every 24" up to the back of the "bed", i left the very back open with the hopes of sliding something under for addnl. 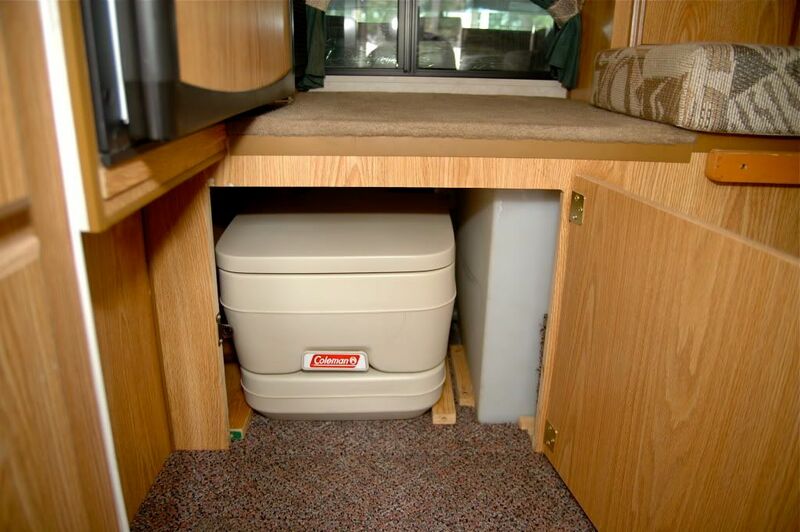 camper storage. Maybe some chairs. Keeping the jacks for now cuz plan on removing camper regularly, we shall see. I know they ARE heavy. Easy to install/remove off the bracket? Would be nice to remove them on any "real" trips to save weight and potential damage. Have an ICON suspension kit resting in my garage Its ready to go on when the weather gets nice (if ever), forecasted to snow all this week and then "unseasonably cold and wet" for the next few weeks. I am really ready for the snow to melt and my lawn to surface. Would love to figure out a setup with longtravel airbags so that a suspension could cycle w/o fear of damaging/ripping the airbags on full droop. Seems the current popular bags (airride) are not capable of any extra travel. I may be wrong. Carli makes a setup for dodge that could be adapted to fit but sure would be nice if a Tundra kit was avail. anyone know anything? I have tried emailing Carli a couple of times about fitment of long travel airbags to F150s and have never received a response. In all fairness, everyone has issues with spam/junk filters and I never picked up the phone. It wouldn't be difficult to fabricate something up anyway. I would be interested what they would sell the bags for alone. 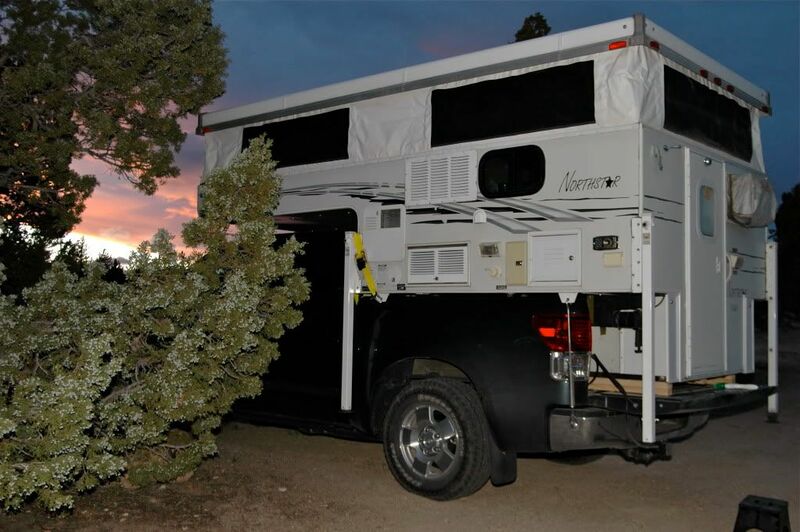 Camper looks great and sounds like you got a great deal. I've got a Dakota 4 door shortbed 4X4 that I've been trying to locate a good clean TC-650 with the Dakota option. I don't think they maufactured many of these. I live in Arkansas not many truck campers in our area. I'm running the Carli LT bags. They are mounted inboard and provide 10"+ of travel. Carli's a great guy but currently concentrates on the fullsize Dodges and lately he has some Ford offerings.He's swamped with biz. I previously ran the Firestone's and they are like rocks compared to his LT's. 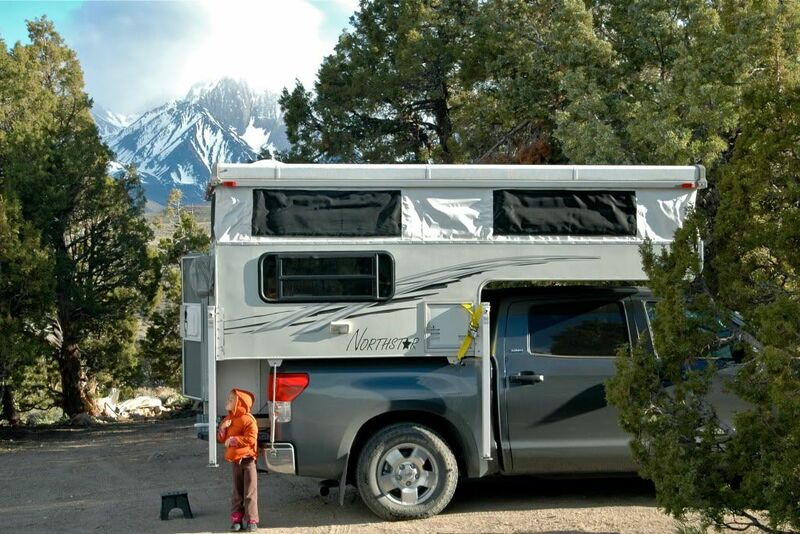 There's a huge untapped market out there for an LT bag for you Toyota/Nissan owners with campers. 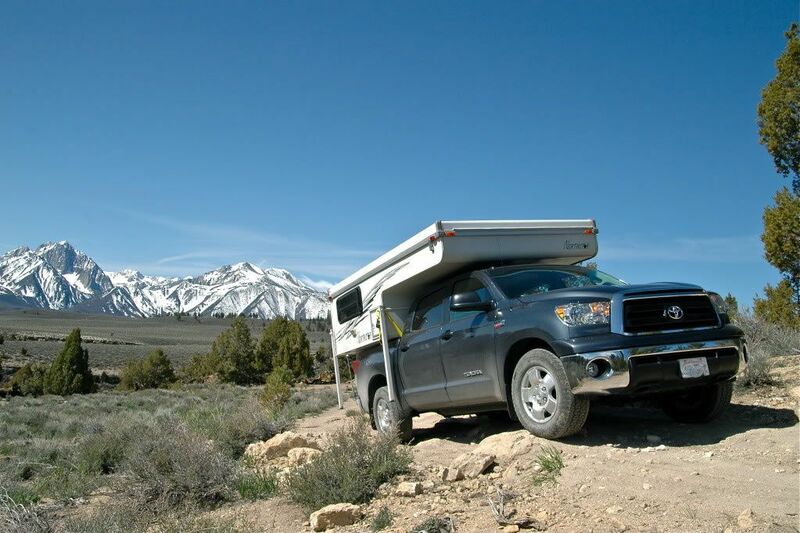 We carry some leveling blocks from Camping World. I can't express enough how nice it is to setup in less than five minutes. 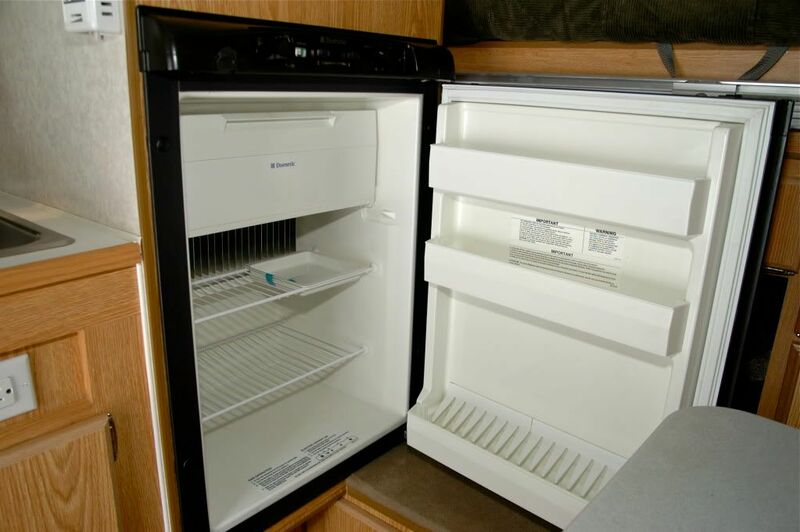 Queenbed,stove,fridge,furnace etc. Rocks! Incidentally,I had Yakima canoe/kayak/surfboard racks installed up top. Camping World has a 6' folding stepladder that resembles a 4x4 fencepost when stored. It's made in Switzerland I believe and designed to fit behind the door in their cramped apartments. I store it down the side of the wheelwells when not in use. Sorry for the ramblings. P.S. I just logged onto the ICON site. Very cool upgrade. You'll feel the difference. The jacks came off in minutes,three bolts each. 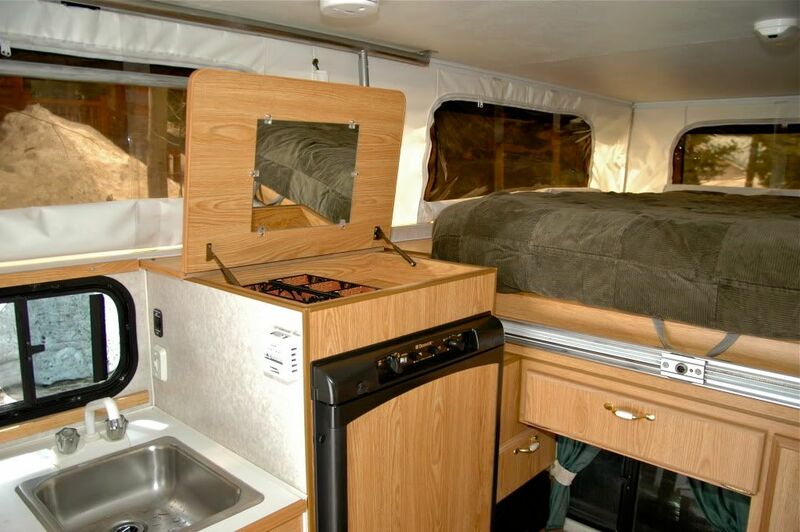 Looks like a really nice camper. Hanging out in a TC700 at a camper show made me decided I wanted a pop-up. 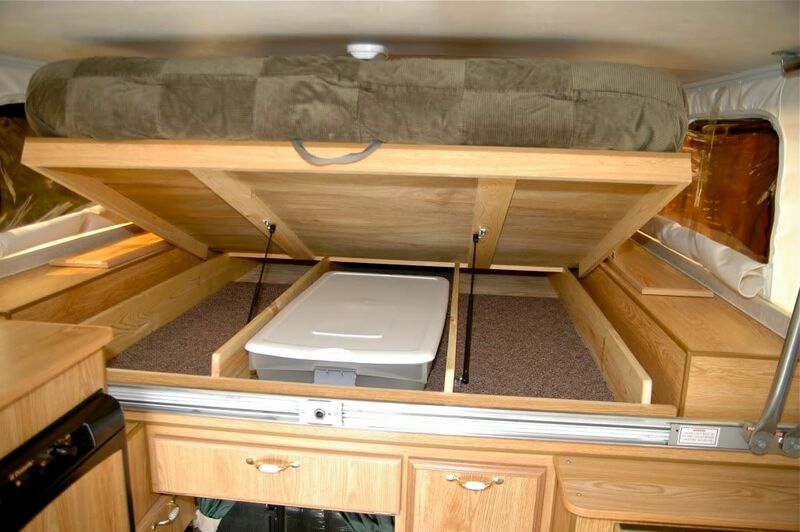 That 7' width in the 650 seems to nicely open up the center of the camper. Very nice. Appears to be a great deal. 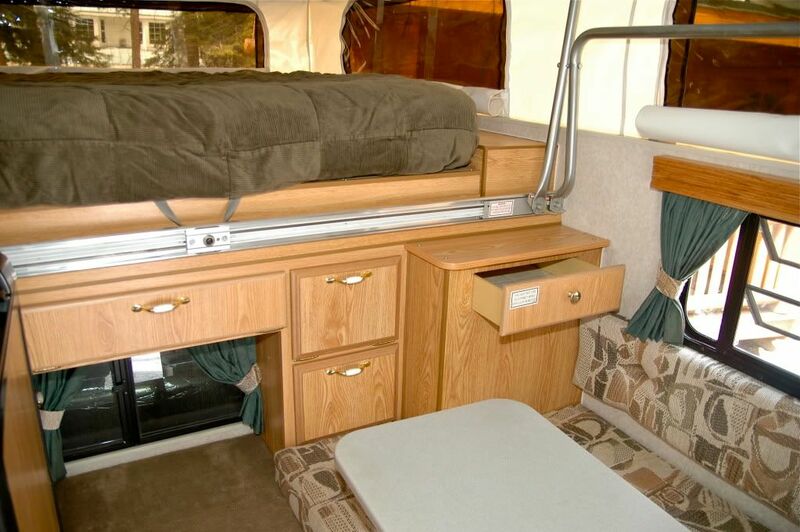 Camper looks really clean. Enjoy. Very nice find. I'm jealous of your location and the front to back bed. That was one of the things I wanted but didn't get. Zidaro great looking northstar! ExPo is such a small world sometimes. Aaron it's nice to see you are doing well and things are good. I see our weather patterns are still about the same snow and cold here also. 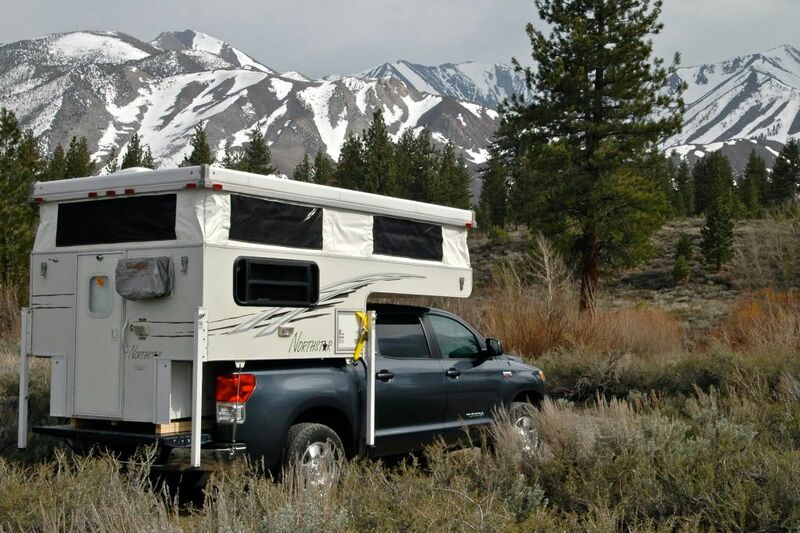 Hows the 4runner doing it looks good in your pics. P.S. If your ever up our way please stop by. I'm at the N.A.P.A. Auto Parts here also. Yeah, Brian. Great to hear from you. Been awhile. I was wondering when we would cross paths again. Runner is sweet and still kicking strong. Its under a heavy knife this summer. 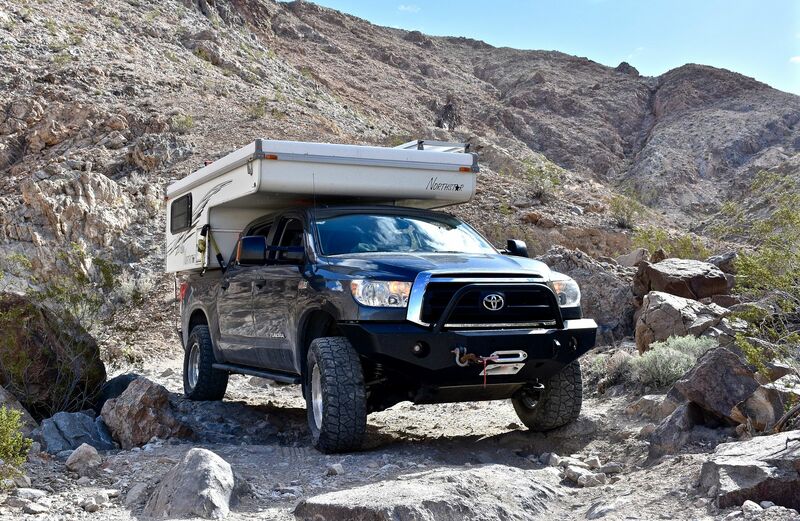 You still need Toy axles for your Zuk? I'd love to get up into your new neck of the woods. We dont have any plans to head too far north this summer but maybe next. If you are getting south this way, be sure to look me up and we can get some wheelin in. Hope things are good. NAPA of Mammoth needs you. Aaron what are you doin to the 4runner? sounds like another thread for ExPo to me. Still no need for toy axels yet. My brother Bret is still supervisor for the midnight cat crew shift so that gives me another excuse to come back to Mammoth Lakes. Good to hear from you.